Motion Control Products Ltd. provide ZYT range permanent magnet DC (PMDC) brushed motors combined with our MCP4 or MCP 2 worm/wheel gearboxes. With the motor frame size of 90mm diameter and two available body lengths (199mm and 155mm), our geared motor units are available in a variety of gear ratios (25:1, 50:1 or 60:1). The attached gearboxes are either made of high-strength plastic Delrin gears (in MCP 4 gearbox) or Bronze gears (in MCP2 gearbox) and in just about any practical custom shaft configuration, our popular DC brushed geared motors will provide our customers with a most flexible geared motor solution. 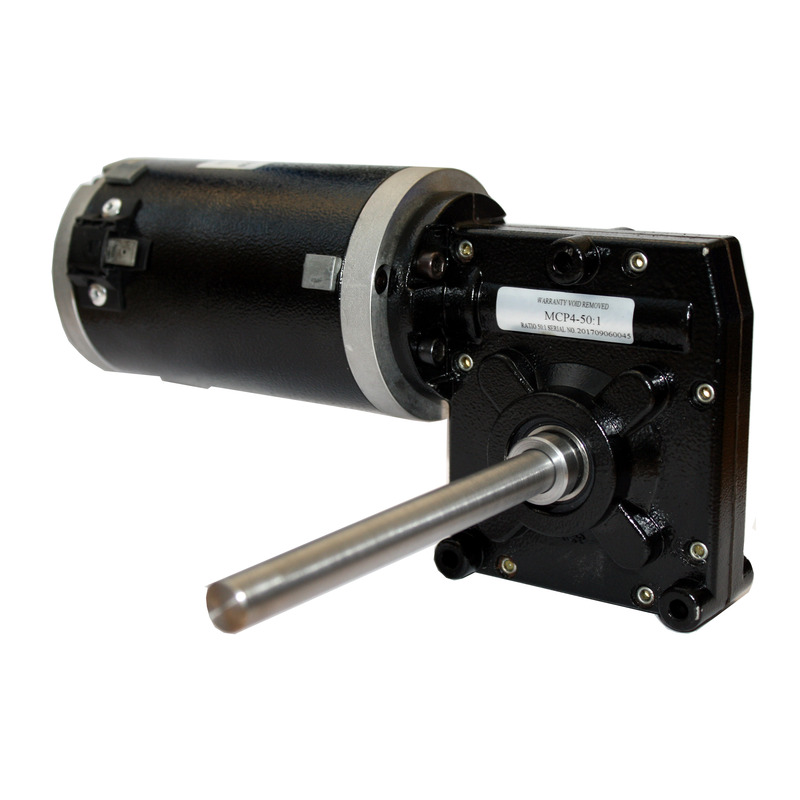 90ZYT155 PMDC brushed motor with MCP4 gearbox (with Delrin gears) and 90ZYT-199 with MCP2 gearbox (Bronze gears, gear ratio 60:1) are both available (off the shelf) for quick delivery. Please see the below technical table for performance details. Other motor/gearbox combination with customised specifications may be available. Please contact our technical sales team for more information and quotation (minimum order quantity of 25pcs may apply for custom-built or non-stock units).